The movie tie-in edition of the #1 bestselling trade paperback includes a collectible full-color, fold-out poster. Bella Swan's move to Forks, a small, perpetually rainy town in Washington, could have been the most boring move she ever made. But once she meets the mysterious and alluring Edward Cullen, Bella's life takes a thrilling and terrifying turn. 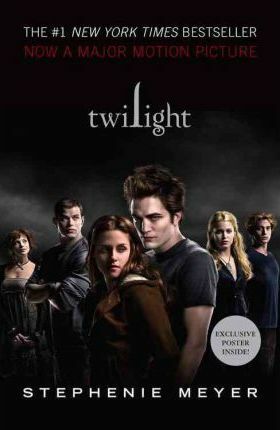 Up until now, Edward has managed to keep his vampire identity a secret in the small community he lives in, but now nobody is safe, especially Bella, the person Edward holds most dear. An ALA "Top Ten Books for Young Adults" * "Propelled by suspense and romance in equal parts [this story] will keep readers madly flipping the pages of Meyer's tantalizing debut."